Many people are drawn to France to live, work and enjoy the mix of rich culture and history. France has a large expat community, with some 19% of the population comprised of first and second generation immigrants. The large cities in particular, have vibrant expat groups, with many newcomers integrating seamlessly into French life. If you’ve made France your home (or are considering doing so), then you might consider switching your work permit or visa, for French citizenship, if you intend to stay for the long term. So, whether you’re just starting the application process to get a work visa in France or you’re an expat already living there, it’s good to know your options when it comes to switching your visa or permit for permanent French citizenship. Here’s a quick guide to why you might want to get French citizenship, and how you can go about it. Citizens of France have different rights (and responsibilities) to migrants holding permanent residence. For example, one benefit of being a French citizen is that you have the right to vote and hold a French passport. As France is a member of the EU, its citizens also enjoy visa free access to other EU states, and can live and work freely within the block. Of course, there are also responsibilities conferred with citizenship, such as the duty to uphold the laws and principles of the land. The benefits and responsibilities of French citizens are all set out on the Interior Ministry website. You can apply for French citizenship if either of your parents are French, if you were born in France or have lived there for long enough to fulfil the residency requirements. Alternatively, you may be eligible for citizenship through your marriage to a French citizen, or through some other exceptional circumstance. Regardless of the route you’re applying to, you have to fulfil certain basic requirements to be eligible. You must show that you have integrated into French society, personally and professionally, and that you speak a good level of French. You’ll be tested on your understanding of French culture and society at your local prefecture offices, so it’s best to be prepared. You’ll also have to show that you have good moral character - which is usually demonstrated by a clean police record, although you might also be asked to attend interviews to reassure officials of your intent. It’s possible to be a citizen of France, as well as of another country, known as dual citizenship. This is permissible as long as the country of first nationality doesn’t have rules against holding dual citizenship. If they do, they may make you choose between your initial nationality and French citizenship, so it’s worth finding out the laws in your country before you start the application process. Depending on your personal circumstances there are several different ways you can claim French citizenship. Aside from those outlined below, there are some concessions made to the naturalisation processes for refugees, or those qualifying on humanitarian grounds. If you don’t qualify under any of the specific routes laid out below then you might be able to become a French citizen by naturalisation. To qualify under this route you must have usually lived legally in France for the last five years. Exceptions are made, however. You might have a shorter wait time if you’ve studied in a French higher education institute, if you’ve completed military service with the French army or contributed in some exceptional way to the French state, or if you're from a country in which French is an official language and have been studying French for the last five years. If you were born in France, and have lived at least some of your life in France, you have the right to claim French citizenship at either 16 or 18 years old, even if your parents aren't French. If you have any doubt which is the right route for you, it’s worth talking to an immigration lawyer who can guide you through the process. France does not have a citizenship through investment programme. You’ll have to qualify for citizenship through one of the regular routes, such as naturalisation, even if you’ve made substantial investments in the country. You can become a French citizen through descent if at least one of your parents was a French citizen when you were born. You still have to meet the requirement to be of good character, and you’ll need to prove your identity and the citizenship of your French parent. 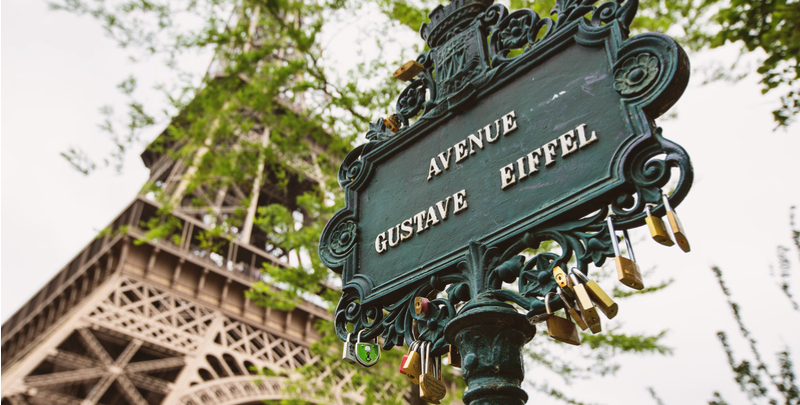 You can become a French citizen by marriage if you have been married for more than four years. You’ll have to have your marriage (if it wasn’t in France) entered into the French marriage registry, and if you’re living outside of the country, the French partner must be registered as a French citizen abroad. It’s expected that you’ll somehow integrate and contribute to French life, as a citizen. Therefore, if you can’t prove how long you have lived in France for, you might have to wait longer to become a French citizen. The basic route for applying for citizenship is the same, whatever the grounds for your application. First you’ll need to collect the wide range of documents needed for your application, which is known as your dossier, and complete the correct application form. If you’re applying for nationality by birth, you take them all to the local mairie (town hall) if you’re already in France - or else to your embassy if you’re outside of the country. If you’re applying for French nationality through naturalisation, you must present your dossier at the local prefecture offices, or again at an embassy if you’re outside of France. You’ll get a receipt for your dossier and might need to attend an interview, to provide additional paperwork, depending on your exact circumstances. The French Interior Ministry provides information and a map to show where you can apply for citizenship by naturalisation on a regional level, and there’s also a from you can use to input your postcode to get details of the closest place to apply for citizenship. You’ll need to submit your application, and pay the fees. These can vary, but you can expect to pay around EUR 55 for an application for citizenship on the grounds of naturalisation. If you’re applying from abroad and need to make an international money transfer, your bank might charge overcharge you, using a poor exchange rate and adding in administration fees. A better option, if you open a French bank account, or know someone who does, is to use Transferwise, and have your transfer processed using the real exchange rate with only a small transparent fee. Before your application for citizenship through naturalisation will be considered you’ll have to have a one to one interview in which your knowledge of French culture, law and society will be tested. The Livret du Citoyen tells you all you need to know for this test of your suitability to become a French citizen. The processing time for your citizenship application depends on your personal circumstances, but can take several months. Your local prefecture or mairie will tell you what to expect when you submit your application. Once your citizenship is arranged, you can apply for a French passport. All of the details of how to go about getting your French passport are on the French Public Service Website. As getting a passport is a separate process from getting your citizenship, there are further fees to pay. For a first adult passport the charge is EUR 86. If you’re not already familiar with money and banks in France, you’ll want to do a bit of research to familiarise yourself with the currency. And, if you haven’t already, now’s the time to open a bank account to help cut down on costs. If you’re just starting out on the journey to becoming a French citizen, then it can feel like the process is long and complex. However, with a little patience and a good grasp of French, you won’t have any problems with navigating the system. Good luck on becoming a French citizen!